Rabbinically Approved! If you are traveling and don’t have access to a Rav, or you don’t normally ask your Rabbi family purity questions, Tahor can help. With our unique lighting and color calibration technology, you can now anonymously send pictures of your Taharas Hamishpacha questions to a Rav right from your own home. Receive answers quickly and privately. 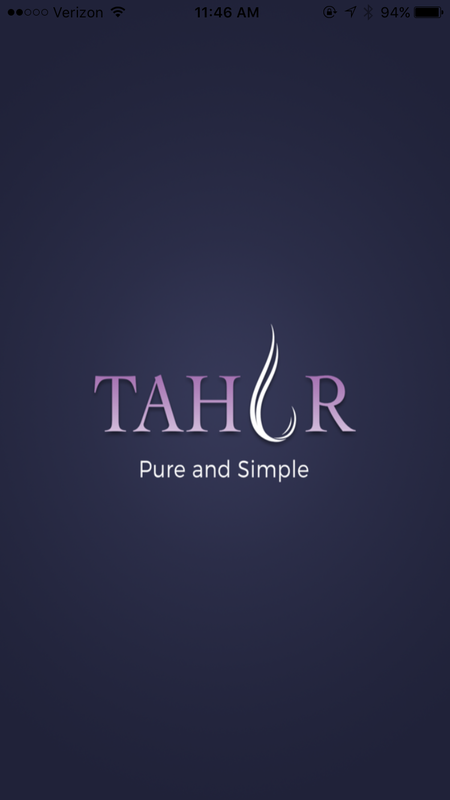 Download Tahor App For Free! Tahor app should only be used by women who either cannot, or do not, ask their Taharat Hamishpacha questions to a Rav. All questions in halacha need to be directed to an Orthodox Rabbi who is an expert in that area. Questions regarding family purity are no exception. However, the option of asking a Rav a question in person is not always available. For example, say it’s Mikvah night and you have a Taharat Hamishpacha question. Normally, you would bring the question to your Rav for a psak; this time, however, you’re on vacation without access to a Frum Rabbi…What do you do? Call a Rav and describe the colors? Text a picture (which also sends your phone number and other info)? 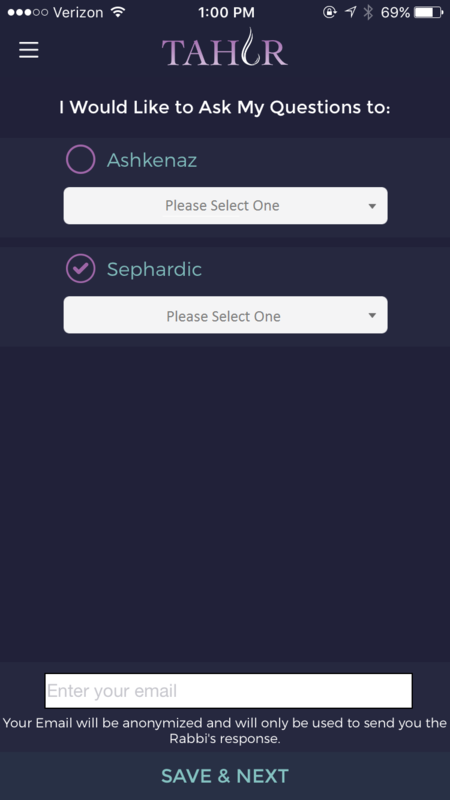 Tahor app was created for a scenario such as this. 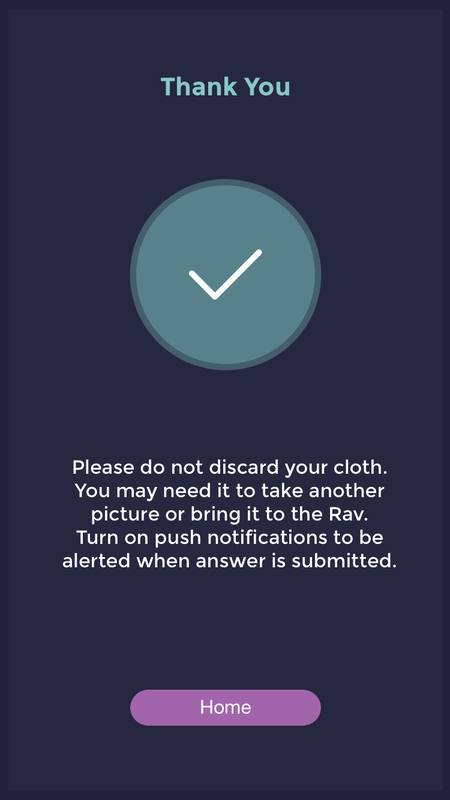 Using Tahor, you can anonymously send a picture of your question to your Rav. To ensure a more accurate photo, Tahor uses color calibration and lighting technology which has been rigorously tested and approved by Rabbonim who specialize in Taharat Hamishpacha. 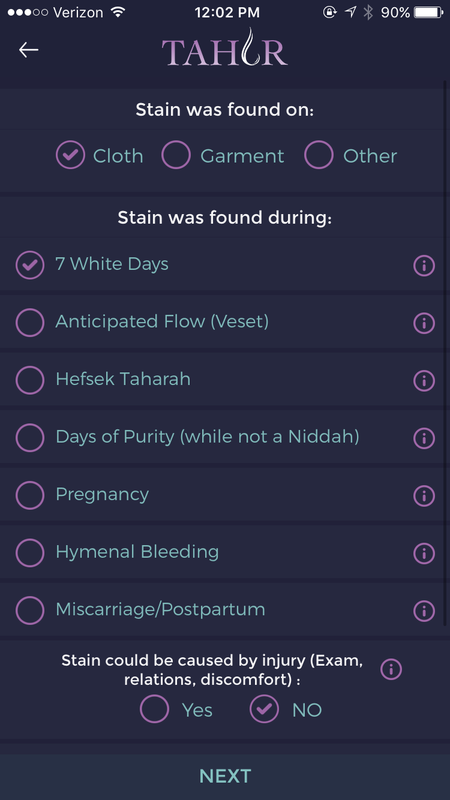 While very complicated stains cannot always be answered using Tahor, the app can be used as a filter through which Rabbonim can answer most questions (typically 90% of questions fall into this category). If a Rav cannot make a psak through the app, he will instruct the user to go to a Rav in person, if possible. Answer a few halachically pertinent questions. Take a picture (don’t worry, all your info is anonymous). Your question will go straight to the Rav you chose. Now just wait for your response. Simple. Using our advanced, Rabbi-approved photo technology, you can get your bedika questions answered privately and anonymously. 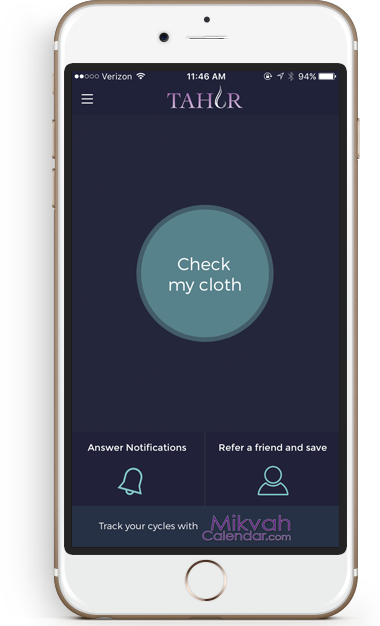 Tahor App guides you through submitting your question, and then all you need to do is wait for your answer! 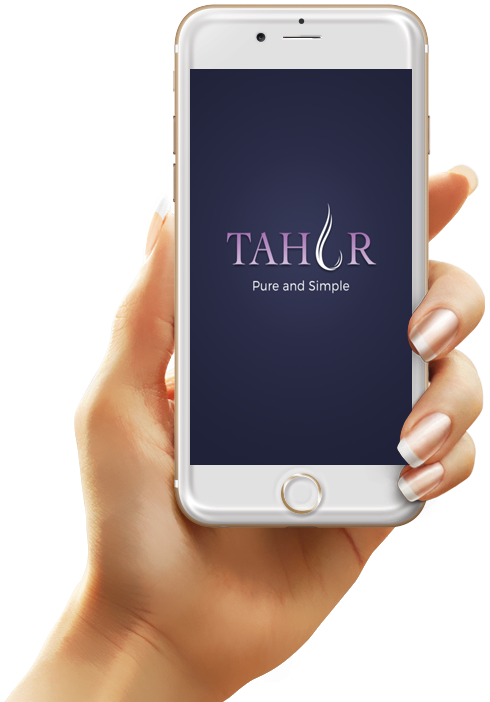 Tahor App gives women the ability to keep the mitzvah of Taharat Hamishpacha in a discreet way that respects their privacy. 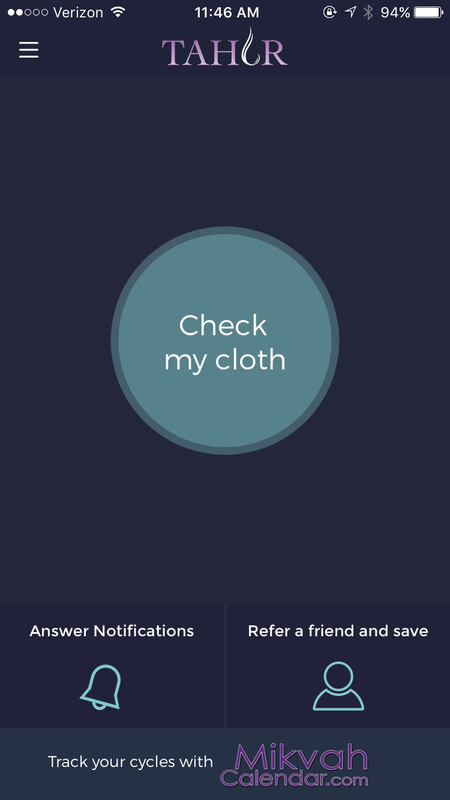 Tahor App is committed to providing you with a pure and simple experience. We’d love to hear your feedback. Please contact us below and one of our dedicated staff will respond shortly.